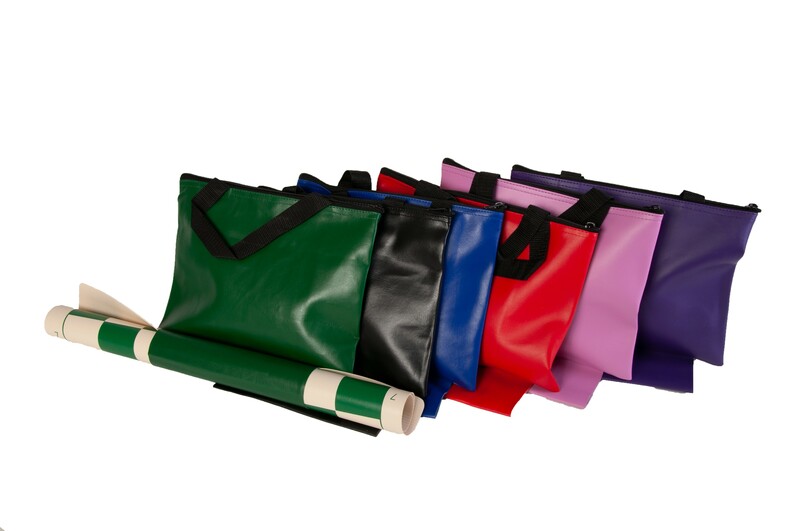 The Standard Chess Bag is designed to hold a roll-up chessboard in a protective sleeve (that is located on the bottom of the bag) and any full set of plastic chess pieces in the zippered compartment. 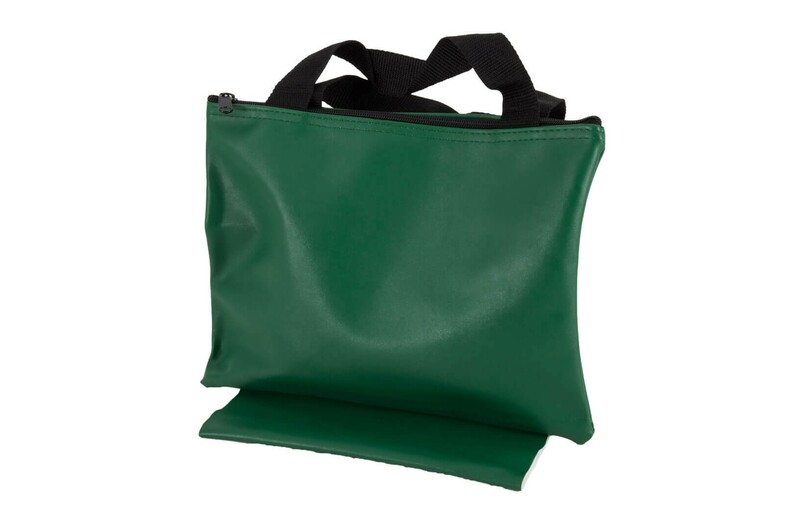 It measures 12" x 9" and is large enough that you can also fit a small clock, scorebook and other small accessories in with the chess pieces. 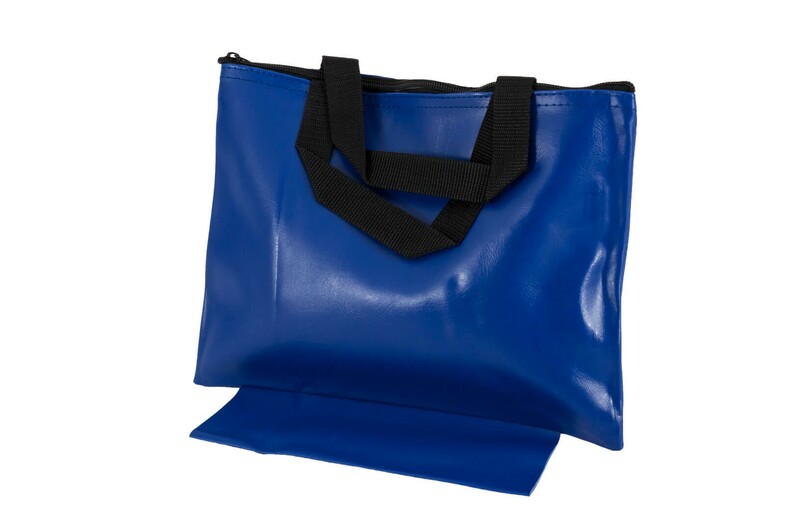 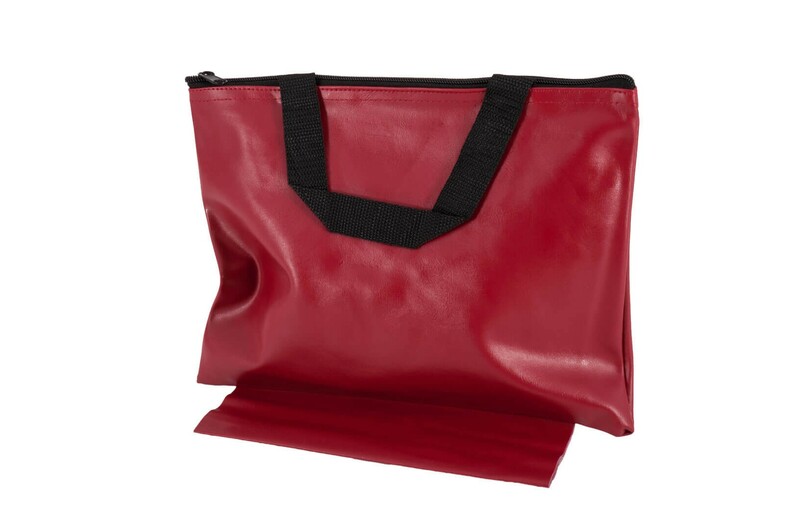 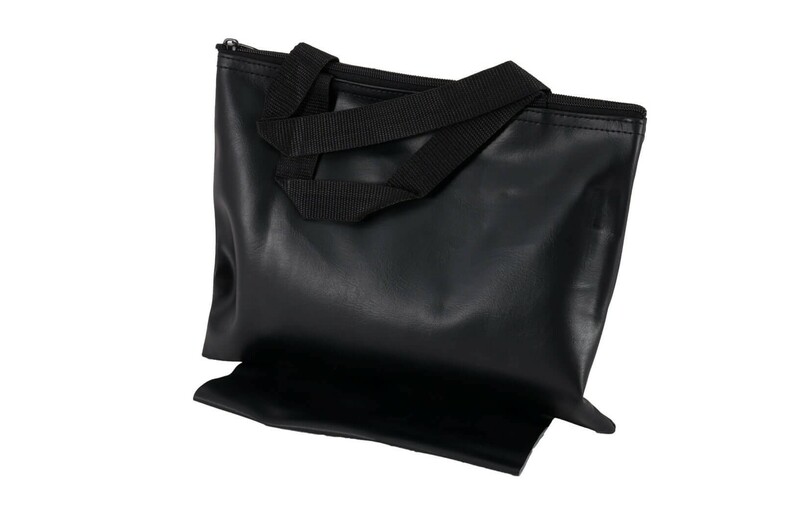 The Standard Chess Bag is crafted from a high grade vinyl material and will resist dirt and water. 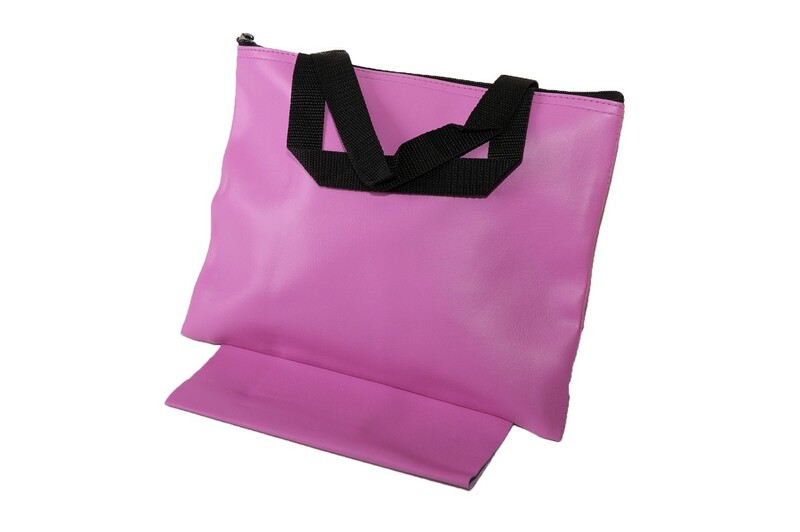 It has two reinforced vinyl handles for easy transport.